Tāmaki Paenga Hira (Auckland War Memorial Museum) holds a number of Māori archaeological textiles from cave and rockshelter sites in Aotearoa New Zealand. The textiles presented here are a cordage collection from Te Wao Nui a Tiriwa (Waitakere Ranges), Auckland. The cord fragments are manufactured with whiri (plaited) and miro (twisted) structures. The diversity of structural attributes reveals the use of a range of materials, strand forms and dimensions to manufacture cords. A range of local resources were used at all sites for plaited cords, however, the twisted cords are all made from the same plant species, harakeke (Phormium tenax, New Zealand Flax). The artefacts appear to be functional items such as lashing, binding and fishing lines. The exception is a plait made with human hair. In the main, the types of whiri and miro cords in the Te Wao Nui a Tiriwa collection are represented in other archaeological cordage assemblages in Aotearoa. This article provides comprehensive technical information which contributes to our understanding of Māori cordage technology and provides data important for future comparative textile studies. Mckendry, L. (2017) “Māori Cordage from Te Wao Nui a Tiriwa, Auckland, Aotearoa New Zealand”, Journal of Pacific Archaeology, 8(2), pp. 44-52. 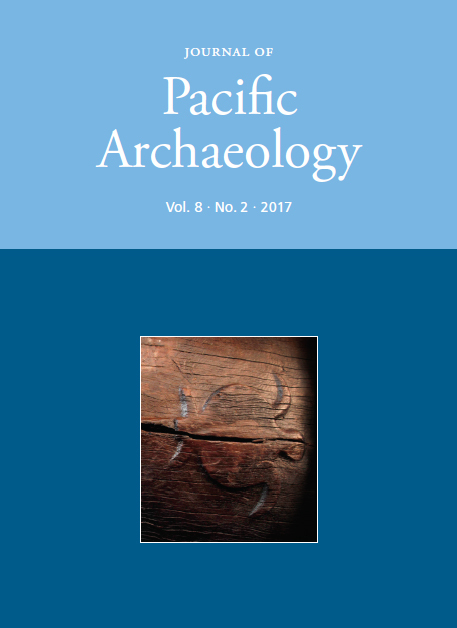 Available at: https://www.pacificarchaeology.org/index.php/journal/article/view/208 (Accessed: 22April2019).